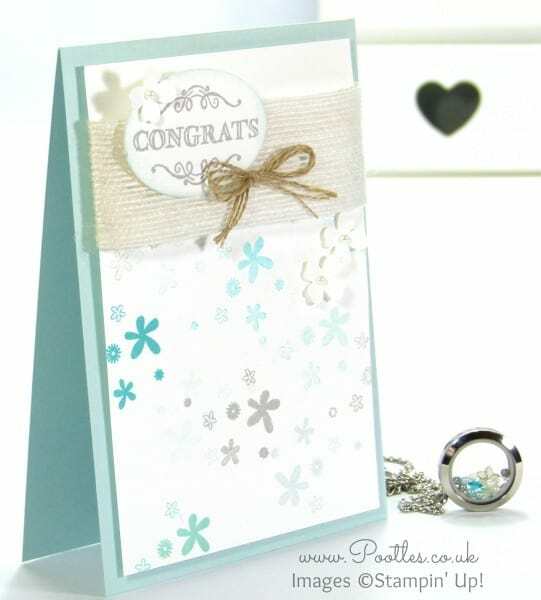 Well today’s project was a rapid change of plans… We have had a new catalogue launch with Stampin’ Up! this past Tuesday, but also a new catalogue launch and limited edition products with South Hill Designs on the same day too. But, and here’s where the change of plans comes in…. I haven’t yet received the new products from South Hill yet! Gah! I suspect because so many people ordered at the same time it has delayed things ever so very slightly (they’re due tomorrow….! ), but I did pull something pretty out for you instead! My card project features Perpetual Birthday Calendar stamp set as the background stamping. This is my new best friend as I’m one of those stampers who likes little icons and motifs, and the 12 that come with the set are right up my street. And if I never ever use the month words, that’s fine because even now, I’ve more than made up for the lack of their use, simply in how much I’ve used the set!!! I also decided to use one of the new Sale a Bration FREE (!) stamp sets – Simply Wonderful, along with a strip of the new Jute Ribbon and a triple thickness of Linen Thread. Soft blues with a hint of grey are definitely up my street, so I used Smoky Slate with Soft Sky, Coastal Cabana and a bright splash of Bermuda Bay. All of which are reflected in my locket! I hope you do check out the South Hill Designs blog that I have as there are so many things going on I don’t really know which way to look! 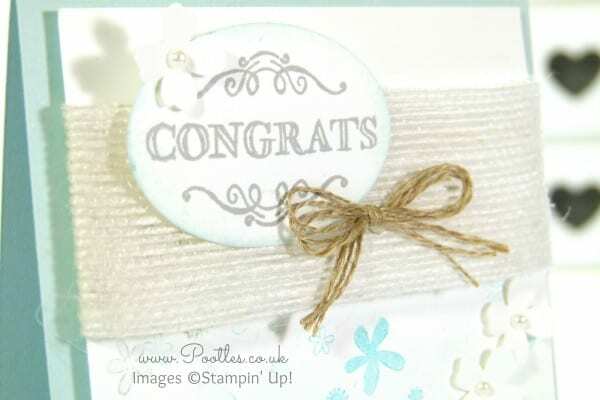 Joining offer with Stampin’ Up! is on, as is the continuation of the South Hill Designs one….! So much is happening! But I love it and wouldn’t change a thing…! Don’t forget about Sale a Bration…. !